‘Grass Fed Beef’; it’s a familiar term to those who like to seek out great ingredients to cook with and eludes to a preferred type of beef. Take a stroll through the grocery store, the packages labelled ‘grass fed’ usually carry a heftier price tag than the conventional beef, so one would naturally assume a superior taste? Sadly, I find I am often disappointed by grass fed beef, finding it either too lean and tough, or just simply tasteless. And then I heard the rumblings in my culinary circles of a North Carolina farm raising truly grass-fed beef that tastes amazing! 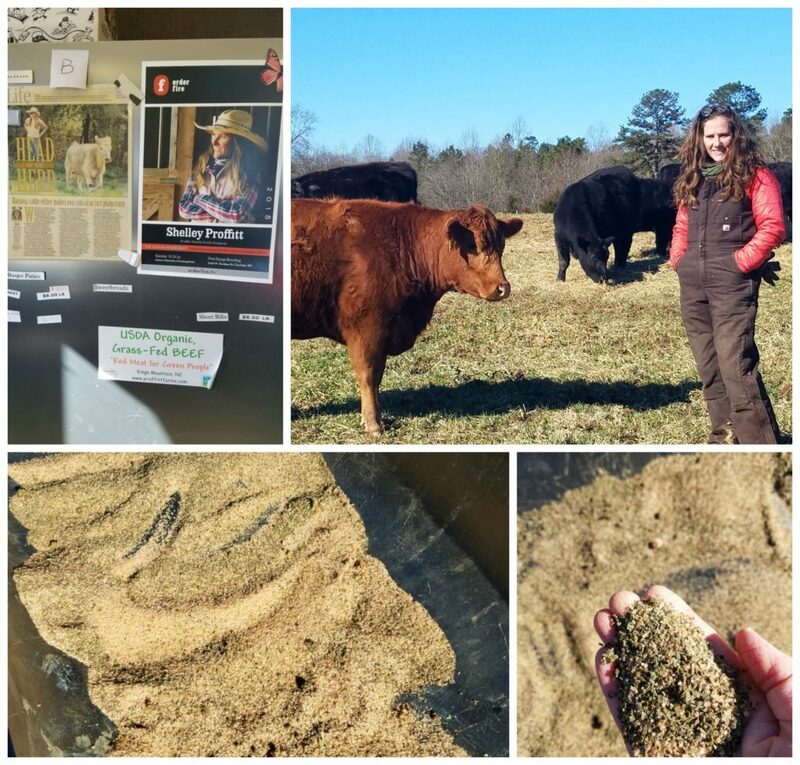 On a beautiful cold, crisp sunny day I took a trip out to Proffitt Family Cattle Company in King’s Mountain, NC to see what the fuss is all about. Shelley Proffitt, cattle rancher and seriously impressive lady enlightened me to the real facts surrounding ‘grass fed’ beef. One would assume the term ‘grass fed’ applies to cattle raised exclusively munching on green pastures, but in most cases that’s far from the truth. In 2016 the US Department of Agriculture announced it was dropping the official term ‘grass fed’, claiming they are unable to monitor if the ‘grass fed’ beef claims are in fact true, leaving the label open to misinterpretation. 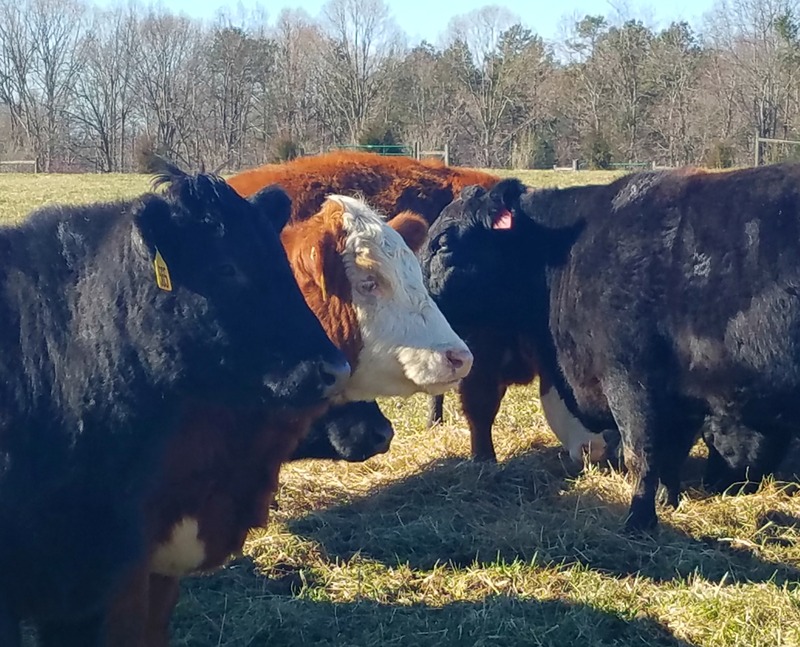 Raising cattle exclusively on grass and hay can present a challenge simply get enough nutrition for the animal, it entails year round maintenance of pastures and having plenty of hay available for the winter months. To many ranchers, given the work entailed, the herd are most often grain finished for the last month or two. The slack in label claims means that operations can raise their cattle on grass for a portion of the time, fatten them up with grain, and still claim the ‘grass fed’ label! Truly grass-fed beef has a very different nutrition profile over grain fed or finished beef. Grass feeding improves the quality of beef, it typically contains two to four times more anti- inflammatory omega 3 fats, vitamin E, beta-carotene, and CLA (a beneficial fatty acid named conjugated linoleic acid) as compared to conventionally raised beef. By comparison, beef that is grain fed, or even only grain finished for the last thirty days, has a much higher ratio of pro inflammatory omega-6 fats. Organic beef that is grain fed may be free of antibiotics and hormones, however the beneficial fatty acid profile cannot match that of exclusively grass-fed beef. A worst-case scenario is conventional feed lot raised beef which can be fed a diet of grains, soy, industrial food by produce and even candy, and administered antibiotics and growth hormones on top of that; inflammatory food to say the least, and not a food I recommend. On this gorgeous day, we took a ride out to the pastures on Proffitt Farm to see the herd of Aberdeen Angus cattle. Healthy looking cattle looked lazily over at us, munching on a surprisingly green pasture, given this was mid-January. Shelley points out the Proffitt beef is not lean as most grass fed beef is, rather the beef is richly marbled, and flavorful! This is achieved by constantly rotating the herd to different pastures, allowing the grass to recover faster and offering the herd a delectable buffet of fresh grasses. Only in the last winter months when the grass is dormant do they need to supplement with hay, which was harvested in the summer months. A pink salt and ground kelp blend sparkles in the feeding trough, as a nutritional therapist I can appreciate the importance of a healthy mineral profile in the diet, the ultimate cow gourmet mineral supplement! Growing up on a farm in South Africa, I have a special affinity for local farmers making the effort to grow food the right way, as close to nature as possible, and free of unnecessary chemical fly sprays, de-wromers or feeds. Proffitt Family Farm is indeed a unicorn, a certified organic and grass-fed operation, which is no easy feat! I love the Shelly’s line, they are committed to be “legitimate and true to what being organic is” You can listen to her talk about the hoops they jump through to maintain organic certification here. 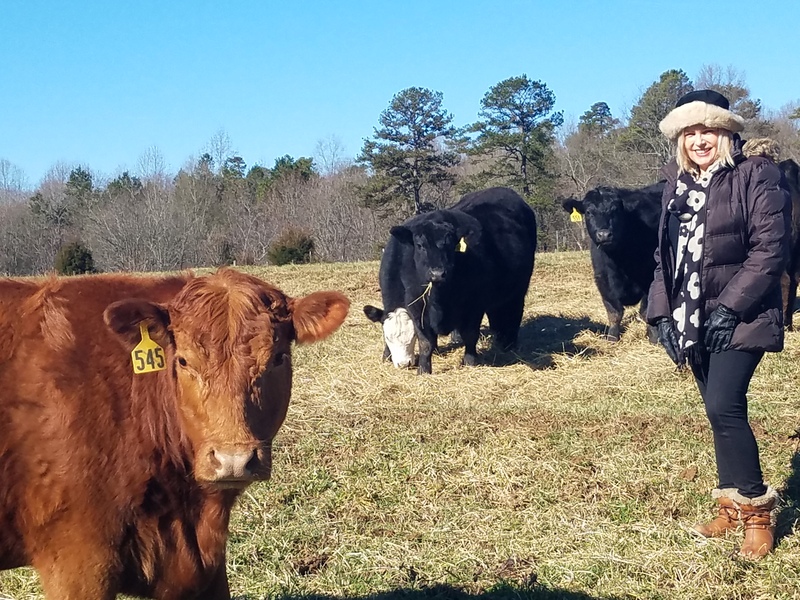 I left that day with a new appreciation of what it takes to be an organic and 100% grass fed cattle ranch, and several packs of the Proffitt Farm beef, to prepare for my live cooking segment on the WCNC Charlotte Today Show. Now I have worked with a lot of grass-fed beef in my culinary career, and I have to say the Proffitt Farm grass fed beef lived up to all the hype. 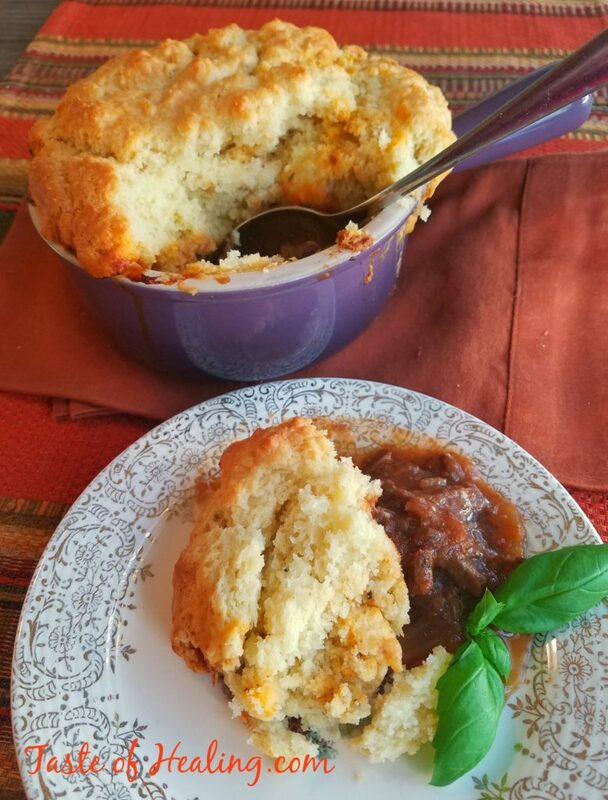 Flavorful, tender, just delicious! Proffitt Farms beef is available on Saturdays from the Charlotte Regional Farmers Market and from the farm visit the website for farm store days. You can find details on the recipe I prepared Grass Fed Beef Pot Pie Provencal with Gluten Free Topping and the video link on the blog.